What if an intensive rumor spreading in cyberspace about a last generation of the legendary Mitsubishi Lancer Evo X proved was to be true. 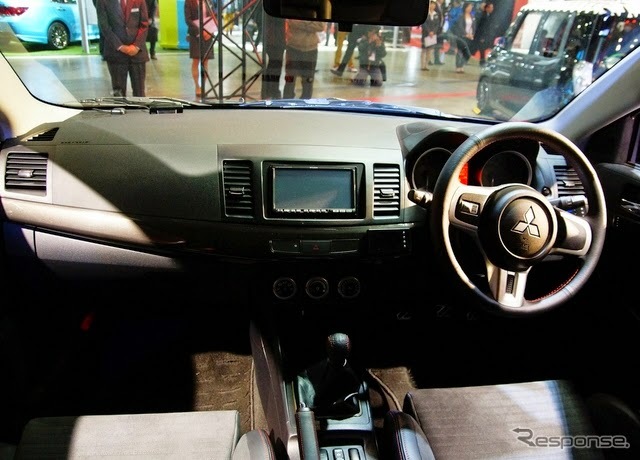 A Japanese automotive brand giant brings the latest sports sedan concept legends to their booth in the middle of the hustle of the Tokyo Auto Salon 2015 which begins on January 9, 2015. 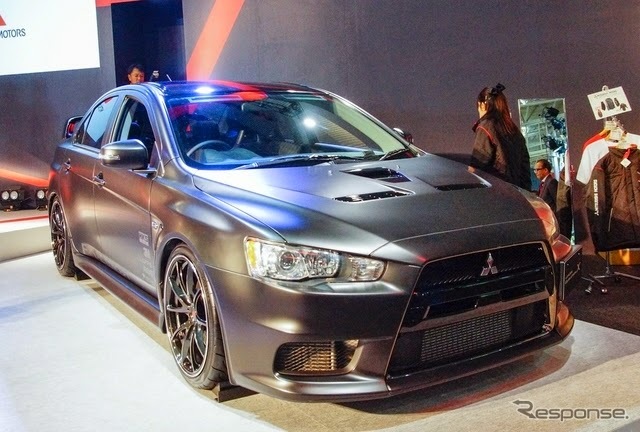 The car concept is created as the last and most powerful generation with output up to 480 hp, and was named Mitsubishi Lancer Evo X Final concept is installed various devices and the best Japanese performance support tuning products. 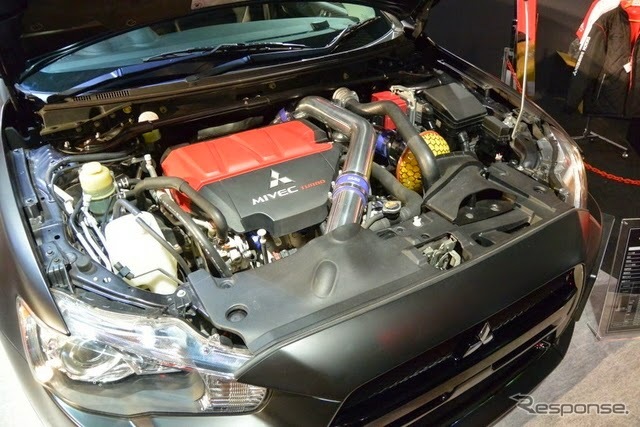 This concept car uses an upgraded turbocharger engine of 4B11 MIVEC intercooled which has a capacity of 2.0-liter, and fuel processing system as well as special ECU software enhanced processing prowess by HKS become the main power of the strongest generation of Mitsubishi Lancer. Moreover, as quoted from Responsejp on January 10, 2015, the sport suspension HIPERMAX MAX4 SP also added by HKS is coupled with Volk Racing's 19 inch G25 alloy wheels and wrapped in Yokohama Advan Neovas tires.